You can read more about the origin of this post, here. When it comes to nomenclature, organic chemistry is notoriously full of contradictions, historical accidents and anomalies. It is often very messy! I quite often write about this, for example, here and here. 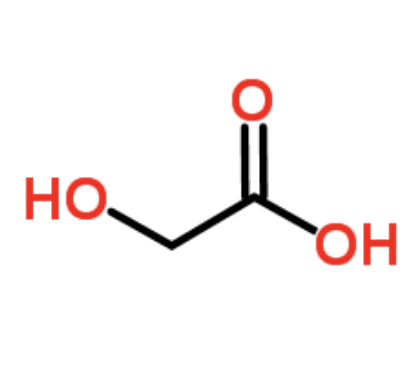 For a change, the informal IUPAC term, alpha hydroxy acid or AHA, actually makes perfect sense. Breaking the name down it literally means a hydroxyl group (–OH), attached to an alpha carbon (a carbon adjacent to a functional group), where the functional group in question is a carboxylic acid (–COOH). 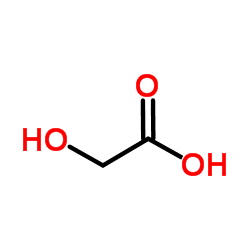 The simplest AHA is glycolic acid, or to give its IUPAC name, 2-hydroxyethanoic acid. The use of AHAs in the cosmetics industry is well documented, and various such compounds are promoted as being agents that help in the smoothing of fine lines and wrinkles, and in the general improvement skin tone, appearance, and condition. AHAs work by exfoliating the skin by removing dead cells. They react with the epidermis (outer layer of skin), and weaken the structure that holds dead skin in place. There are two factors to consider when determining the effectiveness of AHAs in that role. Firstly, the concentration of the acid, and secondly the pH of the acid. As a general rule, the lower the pH (greater level of acidity) and the higher the concentration, the more effective the treatment will be. However, there are risks associated with exposing the skin to highly acidic environments, and the more aggressive solutions are usually only administered by qualified professionals. Concentrations of AHA solutions can vary between 10% and 70%, and pH ranges from less than 1, up to values that approach neutral. The Food and Drug Administration (FDA), the government body that regulates drugs in the USA, suggests that solutions of concentration 10% or lower, which have pHs of 3.5 or higher, are safe for home, self-administered use. Anything else should be used with the help of a professional in the field.